How To Buy The Best Integrated Fridge Freezer - Which? Get the best integrated fridge freezer for your home – read our expert integrated fridge freezer guide before you hit the shops. 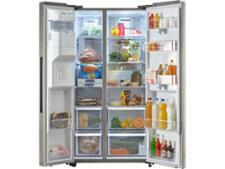 The best integrated fridge freezers cool food quickly to keep it fresh. 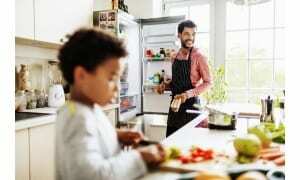 Find the best model for your food from our list of the best fridge freezers. Should I choose an integrated fridge freezer? If you’re remodelling your kitchen, you’ll have to decide early on what type of fridge freezer you want. Integrated models (which are also known as built-in fridge freezers) sit behind kitchen cupboard doors to give your kitchen a seamless look, making them a great choice if you hate having appliances on show. On the downside, there are fewer models to choose between, compared with freestanding fridge freezers. Integrated fridge freezers are also more expensive to buy and can cost more to run. Integrated fridge freezers are hidden from view but cost a lot more than freestanding equivalents. Which size integrated fridge freezer should I buy? You can buy models with various fridge-to-freezer ratios, so make sure you pick a size that will suit your fresh vs frozen food needs. Most are similar in size to freestanding models – where the fridge is slightly larger than the freezer – but some have a huge fridge and a relatively small freezer. If you’re replacing an existing integrated fridge freezer, you’ll have to choose one with the same fridge-to-freezer proportions as your old one. 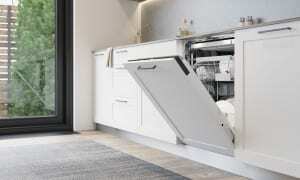 Built-in models are designed to fit inside a standard 60cm-wide cupboard. They’re a standard depth and are typically 178cm tall - but do check, as some are a few centimetres taller. How much do integrated fridge freezers cost? Most brands have a far smaller selection of integrated fridge freezers, and these tend to be much pricier than freestanding models. You can buy a cheap one for less than £250, but most cost upwards of £500 - so expect to pay around this mark to get a good one. Brands of cheaper integrated fridge freezers (£450 and under) include Beko, Candy, Hotpoint and Indesit. AEG, Bosch, Neff and Siemens models start at £500-£550, with top-of-the-range AEG and Neff models costing £800+. At the premium end of the scale, models from Neff, Siemens, Liebherr and Miele can cost anything from £800 to £2,000. To find out more about how much the big brands cost and whether they're actually worth the money, head over to our guide to the best fridge freezer brands. Integrated fridge freezers cost from around £250 to upwards of £2,000. 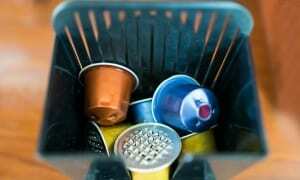 Why are integrated fridge freezers so expensive? Like-for-like, integrated fridge freezers are a lot pricier than their freestanding counterparts. There are various theories as to why. 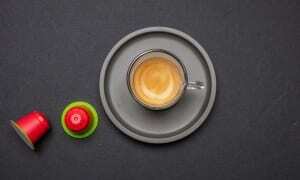 One possibility is that the cooling technology was costly to develop. Another is that because fewer integrated models are sold than freestanding ones, manufacturing costs are higher. Or it could be that once your kitchen design incorporates a built-in fridge freezer, you have no choice but to replace it - so there’s less incentive for manufacturers to keep prices down. 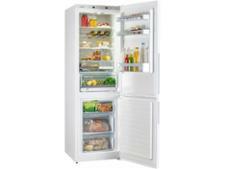 The best integrated fridge freezers cool fast, locking nutrients in your food. At the other end of the scale, the worst ones struggle to cool and can't keep food safely chilled and frozen when your kitchen heats up and cools down. To see which integrated fridge freezers excel at cooling fast to keep food fresh, without increasing your energy bills - head to our fridge freezer reviews. What type of back does the integrated fridge freezer have? All fridge freezers need insulation to keep cool. This insulation is flammable, so it's essential that it's sufficiently protected in the event of a fire. The backing that protects this insulation is currently made from either plastic, metal or aluminium laminate, depending on the make and model of fridge freezer you buy. We continually monitor and vary the assessments that underpin our reviews to take account of changing standards and areas of concern. Our tests have revealed that plastic backing can be highly flammable. We are therefore not recommending any refrigeration appliances that have flammable plastic backing. All fridge freezers with this type of backing have been made Which? Don't Buys, regardless of how else they have performed in our chilling and freezing tests. 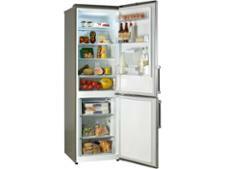 Our fridge freezer reviews will tell you what type of backing each model has. If you already own an appliance with a flammable plastic back, it's worth knowing that the likelihood of a refrigerator fire is very low, and the material used in the backing can allow an existing fire to spread - but it isn't the cause of the fire itself. Read more on fridge freezer safety.